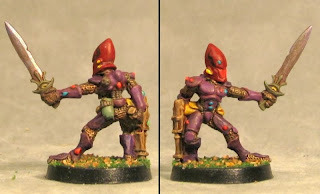 And now for some very old Eldar figs. 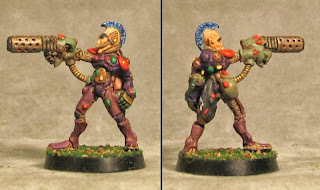 I really love the old Jes Goodwin sculpts from the Rogue trader and early 40K days. 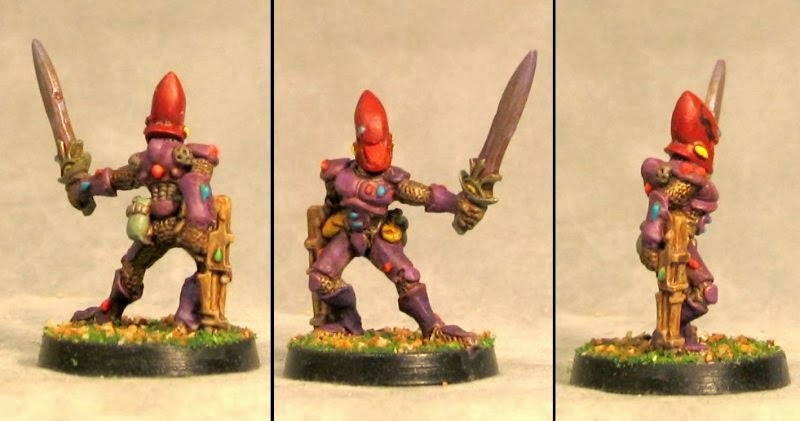 I have a lot of not well painted Eldar minis and several partially painted that I'm coming back around to, including these, some of them needed some fixing due to damage during a move. This female Eldar sculpt is one of my favorites. I think I've done 3 or 4 of this body with various arms. I'm also a sucker for the shurikenfist and I've made a few in the past. 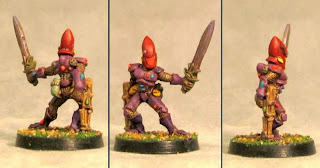 Her sword was damaged a couple of moves back and I fixed it and extended the grip so it would look a little more Eldar-y. Another shurikenfist (an earlier design than the one above). At the time I put this guy together I thought "eh, he's okay but nothing special'- now that he's painted he's become a favorite. 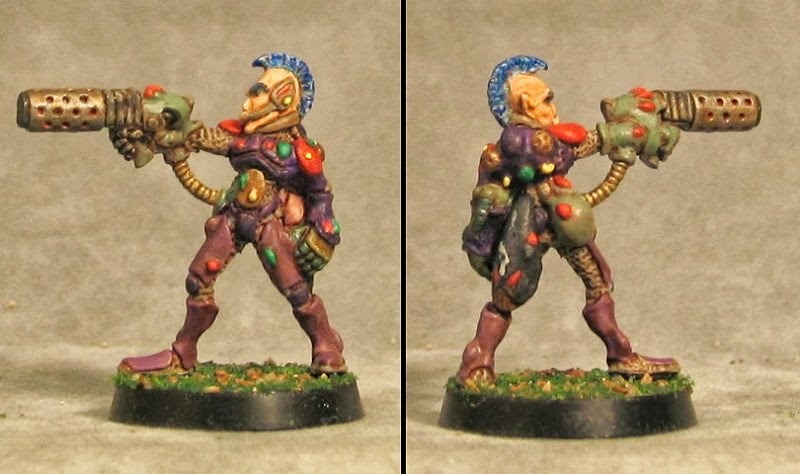 Finally, this really old sculpt lost his head and whatever pistol he had in his left hand. I gave him a plastic helmet (that needs some touchup revealed by the pics) and a sword from the WarGods line of minis.